The firm represents clients in all aspects of Matrimonial and Family Law matters including pre-nuptial, post-nuptial and separation agreements, child custody and visitation, equitable distribution, support issues, valuation of licenses, practices and businesses, enforcement and modification proceedings, as well as extensive Appellate Practice. We also practice in the areas of Real Estate and Commercial Matters. Our attorneys in this division have extensive experience with general and complex real estate and commercial transactions and litigation. Our firm is comprised of a team of aggressive advocates who bring insight, experience, and successful track records to each matter. As a boutique firm, we take a personal approach with each client. Our reputation and practice are built on recommendations from clients, other attorneys, and even adverse parties, as well as bar association and peer recognition. Winter & Grossman is based in Garden City, New York, and serves clients in Nassau and Suffolk, Westchester, and throughout the New York metropolitan area including Manhattan, Queens and Brooklyn. Mr. Grossman's work in the field of matrimonial and family law began almost twenty years ago when clients who benefitted from his representation in commercial matters sought his representation in matrimonial disputes. He is experienced in all aspects of matrimonial and family law matters including pre-nuptial and post-nuptial agreements, separation agreements, child custody and visitation issues, relocation disputes, child support and spousal support (maintenance) issues, equitable distribution of assets and liabilities, valuation issues, as well as post-judgment enforcement and modification proceedings. Mr. Grossman is also experienced in appellate practice. His business and commercial experience gives him the benefit of a practical perspective on complex financial issues that often arise in matrimonial disputes. Mr. Grossman has also been called upon to act as a "special prosecutor" for certain local municipalities from time to time, and also serves as a fee dispute arbitrator, and as a Special Master from time to time as well. Mr. Grossman is a Fellow of the American Academy of Matrimonial Lawyers and holds an AV rating from Martindale-Hubbell. He has also been selected as a New York Super Lawyer in family law each year since 2012, an honor bestowed on a small percentage of attorneys in a particular area of practice. 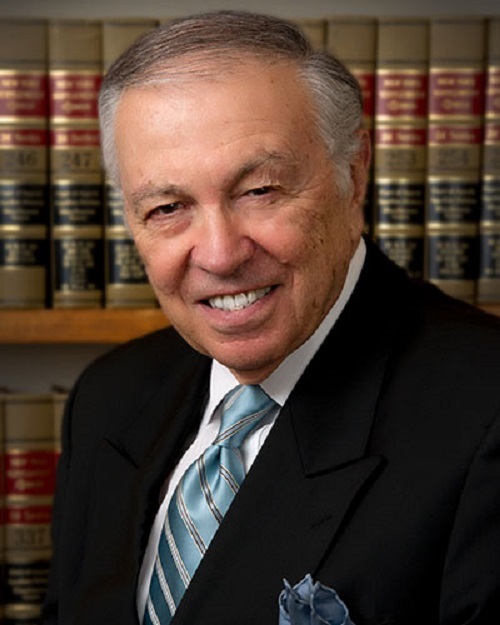 His affiliations include the Matrimonial Law Committee of the Nassau County Bar Association, the Publications Committee of the Nassau County Bar Association, and the Family Law Section of the New York State Bar Association. He has also served as a member of the Board of Directors of a Housing Authority and was President of a Co-op Board. Mr. Grossman has lectured on topics in matrimonial and family law, and has authored articles including "Unpaid Fees and Fee Dispute Arbitration" (Nassau Lawyer, Vol. 61, No. 9, May 2012), "The Child Support Lottery" (Family Law Review, New York State Bar Association, Vol. 43, No. 1), and "The Trivialization of Fault as a Factor Effecting Equitable Distribution" (Family Law Review, New York State Bar Association, Vol. 40, No. 3). 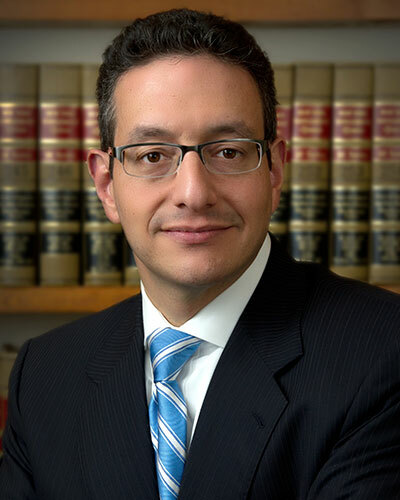 Mr. Grossman is admitted to practice law in New York, Washington, D.C., before the U.S. Southern and Eastern District Courts of New York and the U.S. Court of Appeals in the Second Circuit. He has also appeared in other jurisdictions at the request of clients and with the assistance of local counsel. He holds a B.A. from New York University and a Juris Doctor from The University of Miami School of Law, where he graduated with honors, was an Articles and Comments Editor for the University of Miami Entertainment & Sports Law Review and a member of the Moot Court Board. "One of our highest compliments is having been recommended by our adversaries, and by adverse parties." Jerry Winter is a recognized authority on Matrimonial and Family Law, with many years of experience in litigation and numerous contributions to the bar. For more than 45 years, Mr. Winter has limited his practice to matrimonial and family law, successfully litigating and/or settling hundreds of matrimonial cases and prosecuting/defending appeals on behalf of clients and as counsel to other members of the legal profession. He has been honored by the American Academy of Matrimonial Lawyers and the Nassau County Bar Association. When asked "What is the most significant case you ever handled and won during your 50 years in practice as a matrimonial lawyer?" Mr. Winter replied, "The next one." A highly regarded member of the matrimonial bar, Mr. Winter has published numerous articles for legal publications, including "The Temporary Restraining Order: A Sword or a Shield" (Family Law Review, New York State Bar Association) and "Addictive Behavior as Marital Fault" (Domestic Relations Reporter). His many professional affiliations include the Matrimonial Law Committees of the Nassau County Bar Association and the New York County Lawyers Association. He has lectured before Bar Associations and other groups, and served as an active member of the Continuing Education Faculty of the Suffolk County Bar Association. Mr. Winter has earned the highest possible peer review rating (AV) from Martindale-Hubbell, the authoritative resource on legal professionals. He is also a Fellow of the American Academy of Matrimonial Lawyers New York Chapter. Mr. Winter has been admitted to practice law in New York State since 1958. He holds a B.A. from Brooklyn College (CUNY) and a Juris Doctor from Brooklyn Law School.